… was born in Tórshavn, Faroe Islands, in 1958. This biography is about Elin’s musical career. To read more about her professional career, click here. Elin is a Faroese singer and songwriter, who has been on and off the music scene on the Faroe Islands since the seventies. 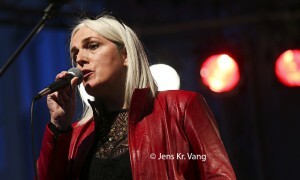 She is a soloist but has performed with several other artists from time to time – the co-work with Faroese composer/producer Kári Jacobsen being the most well known, with whom she published their debut album NALJA in 1988, and the co-work with the band Ad Libitum with whom she published the album “Yndisløg” (Treasured Songs) in 2010. Although she hasn’t released more than one album with half the music written and composed by herself, these songs have none the less been very well received and popular in her home country. She is now in the process of recording her first solo album solely with her own music. Read more about that further down this page. The first time the public ever heard Elin sing was when she was 6 years old. 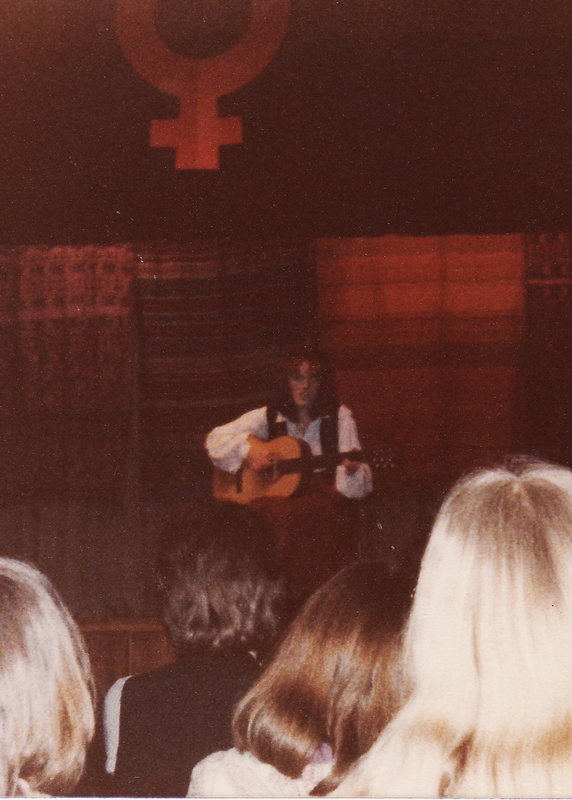 She sang a Faroese children’s song – “Nú fiskur er á grunninum” by Hans Andrias Djurhuus – in a children’s program on the Faroese public radio station. 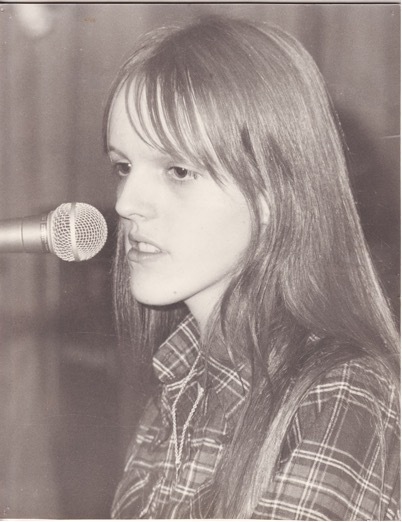 But her first real public appearance on stage as a singer was when she was 16 years old in a play at the theatre in Tórshavn, Faroe Islands, where she sang a Faroese version of the song “Streets of London” by Ralph McTell translated or rewritten by herself, which became popular and has been recorded with her lyrics by various other Faroese bands a couple of times since then. 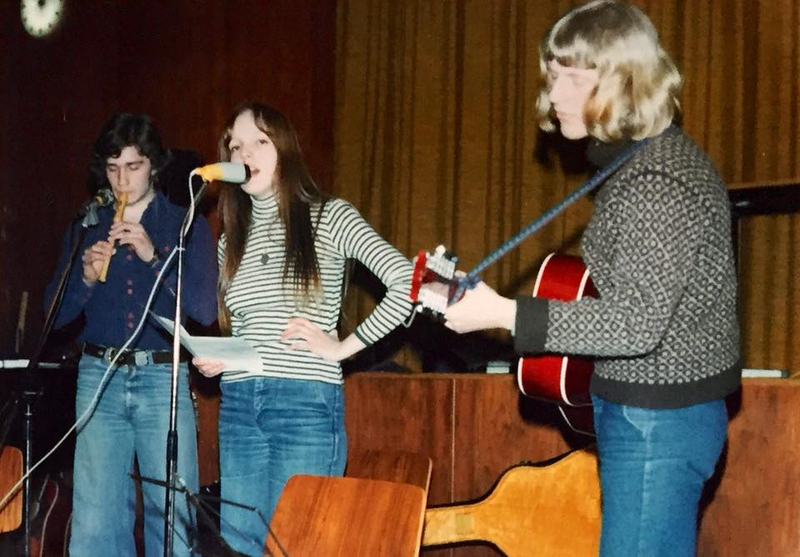 After this performance she was asked to participate in a live radio entertainment show called “V4″ in the Faroese public radio. She became well known by the Faroese public these years, because she toured the Faroe Islands with the other performers on the radio show and was heard singing on the radio every Saturday evening in the wintertime for almost three years. It’s worth to mention that there was no TV on the Faroe Islands these years – not until 1981 – so everybody listened to the radio. 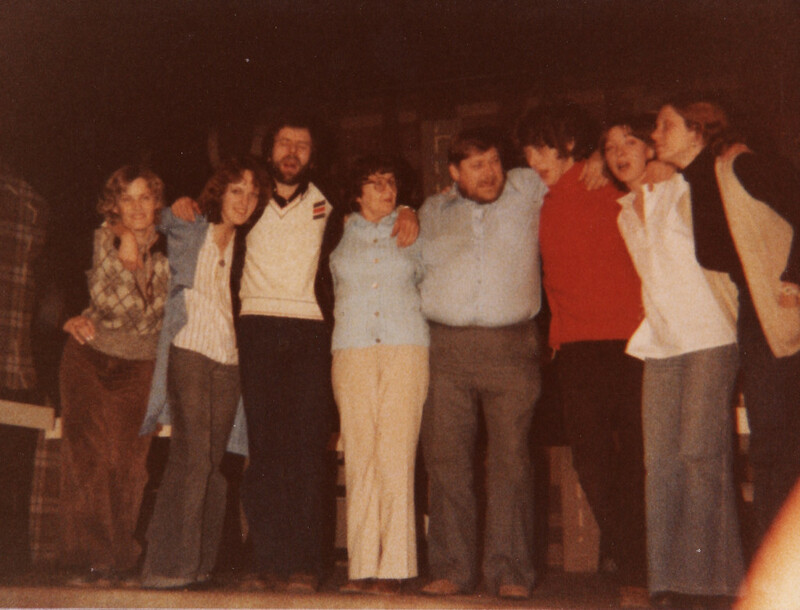 In the late seventies Elin was involved in forming the first Jazz Club in Tórshavn – a legendary club, which not only presented jazz but all kinds of rhythmic music. The jazz club became a reknown place many Faroese musicians still remember with gratitude because it offered them an opportunity to play and listen to music never heard live before in Tórshavn. Furthermore several foreign bands and musicians were invited to the Faroe Islands to play at the jazz club, which was very inspiring for Faroese musicians. 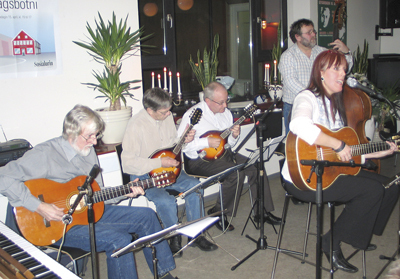 Elin had several performances at the jazz club, among others with her uncle Svenn Brimheim, where she sang jazz and blues, for instance, from The Real Book. 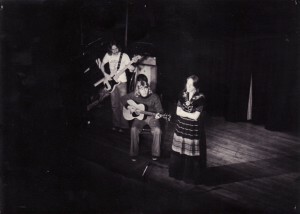 At that time Elin played music with some of her classmates – Ívar Bærentsen, guitar, and Bergur Hansen, flute – she sang and played the piano herself. 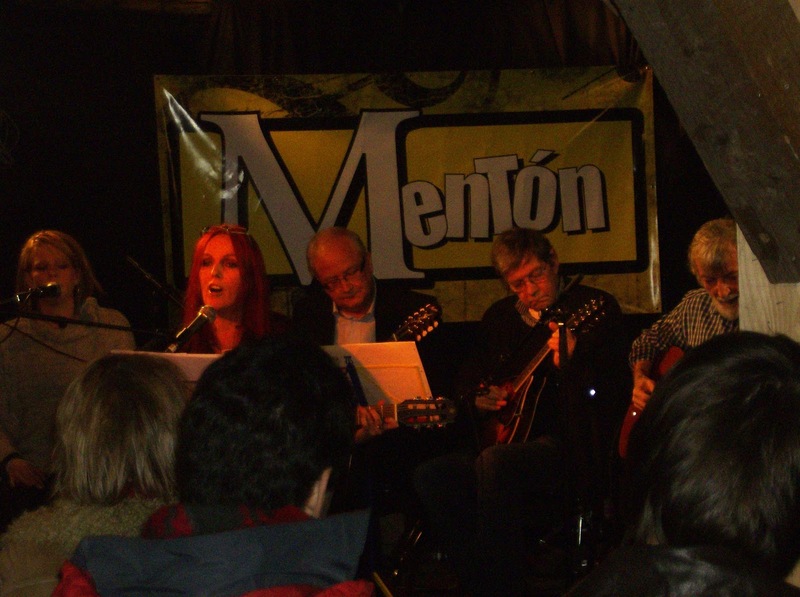 She also began composing her own music mostly in folk tradition with inspiration from jazz and blues, and performed several times in the jazz club – also with other musicians. 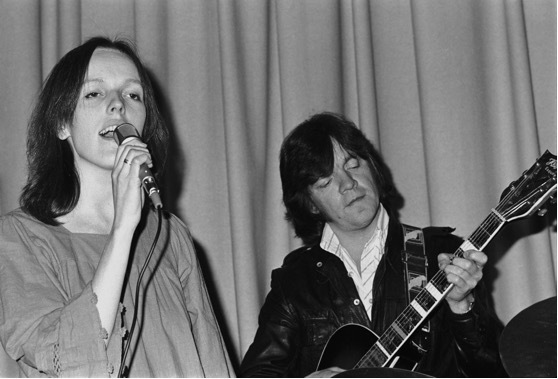 Elin appeared in 1977 on the first jazz LP ever made in the Faroe Islands “Jazz í Føroyum 1″ (TUTL HJF 1) on the track “Hundasjúku blues” (Hangover blues) composed by Kristian Blak, which is one of the songs that has stayed the longest ever on the Top 15 hit list in the Faroe Islands (aprx. 20 weeks). The album was recorded in the legendary Faroese music producer Milson Zachariassen’s studio in his cellar. 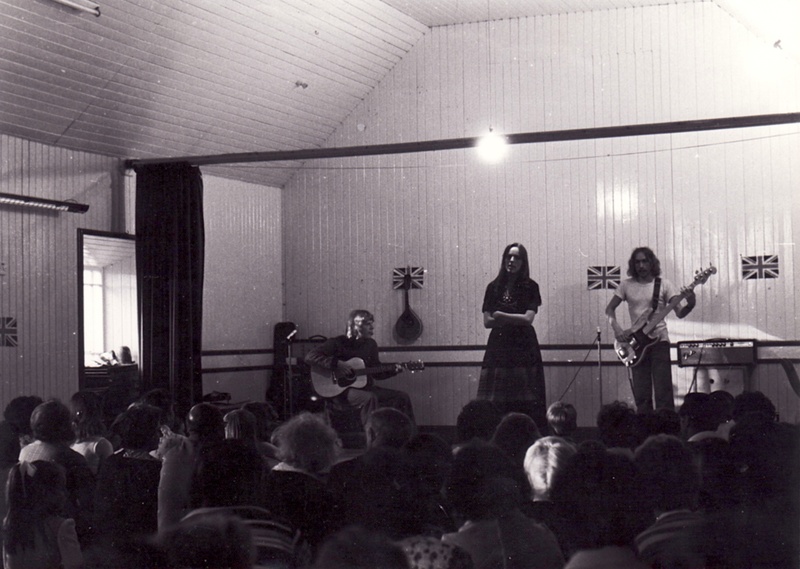 In the summer of 1977 Elin went on tour in Scotland, Orkneys and Shetland where she was a part of a group of Faroese folk dancers and a folk band. 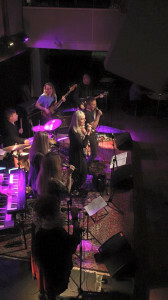 She also performed on stage herself with guitar player Ívar Bærentsen and bass player Kolbein Simonsen and sang some of her own songs and some of Ívar Bærentsens songs. The concerts were popular especially in Orkney and Shetland where all tickets were sold out at all the concerts. In the eighties Elin participated as a singer (mostly as backing choir) on several music album recordings with various artists. The best known album is “Blátt” by Jákup Marner Antoniussen, where she – among other songs – sang duet with Jákup Marner in the hit song “Tú og eg”. 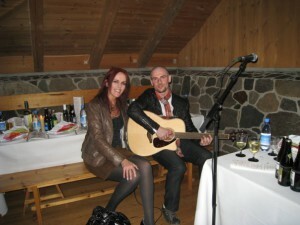 Another duet song also became a hit on the Faroe Islands – “Meg minnist eina mynd” by Hans Andrias Djurhuus, which Elin sang together with Jógvan Telling. 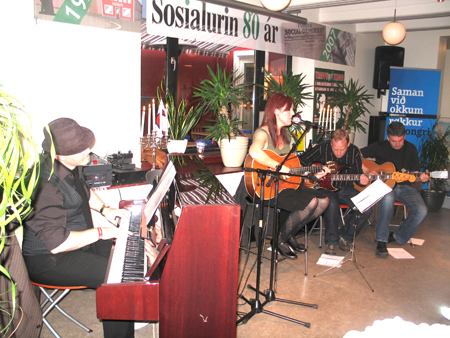 She also sang choir on the hit song “Lítli fuglur” by Anfinn T. Hansen. 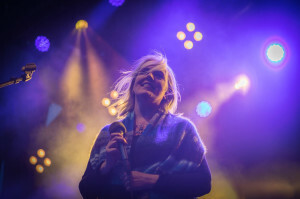 Elin has also sung several popular childrens songs on the Faroese public radio. 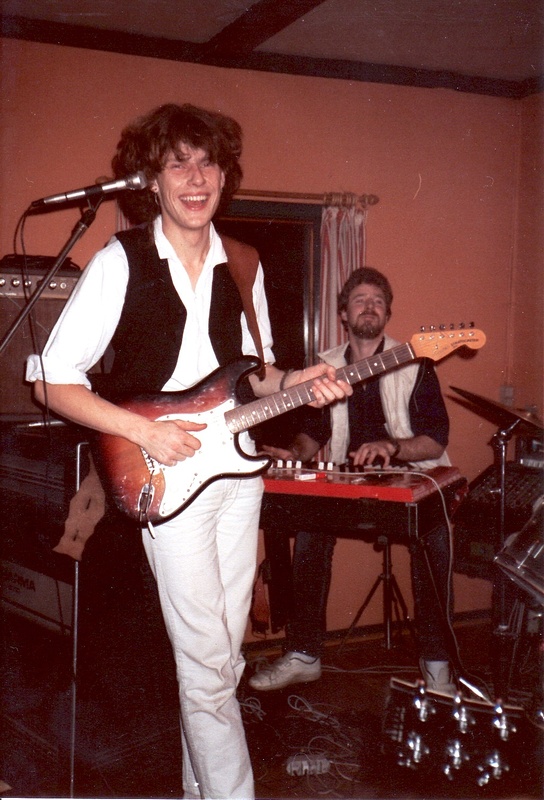 In the mid-eighties she was living in Århus in Denmark – for a short while she sang and played keyboards in a rock band with the brothers Kaj & Karl Anton Klein a.o. and participated on a recording (published as MC) with them. Elin also conducted a small Faroese choir in Århus at the same time -and a little a capella quartet. In the early eighties Elin performed as a singer in the music theatre play “Seymistovan” which played for full houses more than forty times. 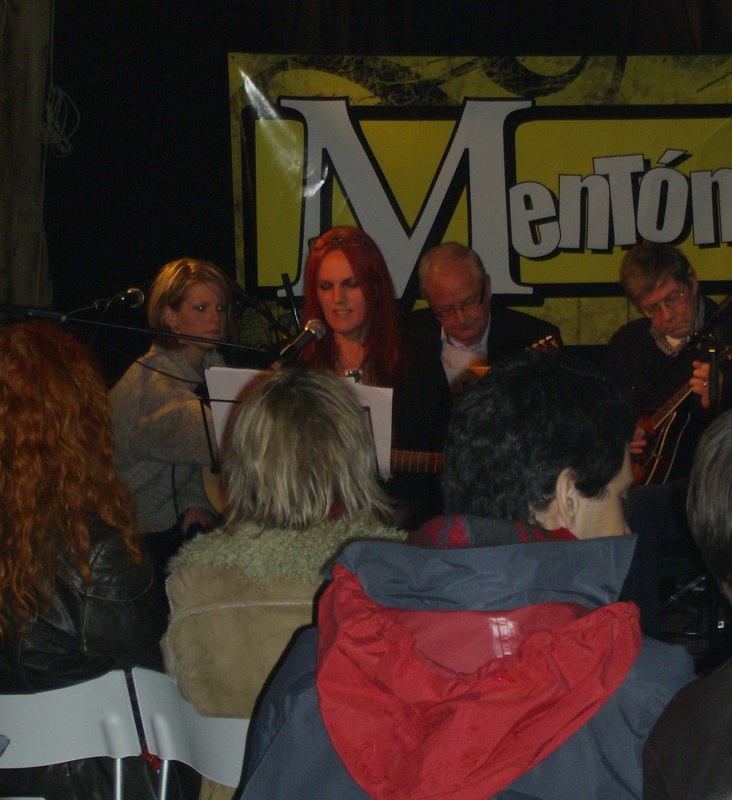 She appeared singing on a theatre stage again in 1993, where she played a role in “Glataðu Spælimenninir” (The Lost Musicians) based on the novel of the same title by Faroese famous author William Heinesen. 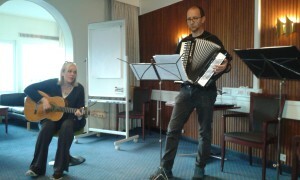 This took place at the Nordic House in Tórshavn. 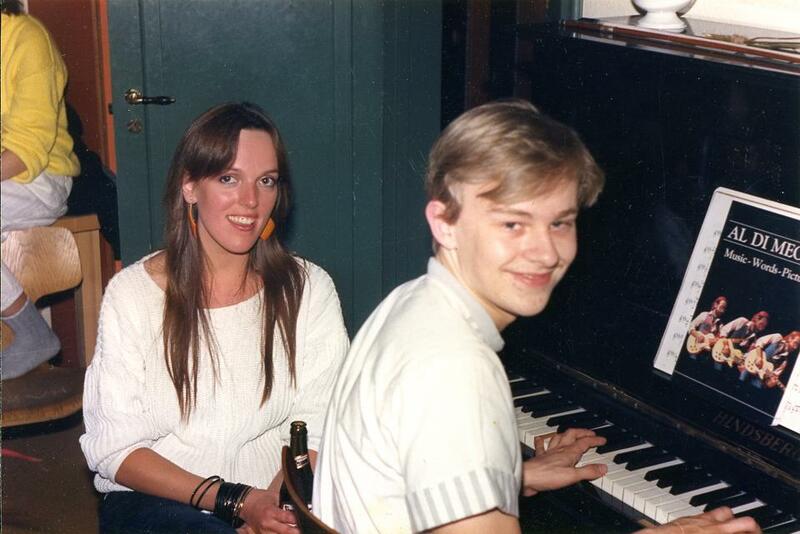 In 1984 Elin and Faroese composer/producer Kári Jacobsen met at a party. Elin was 26 years old at the time, and Kári only 16! Even though they were ten years apart and came from very different musical backgrounds, they found out that their chemistry was perfect. Shortly after they formed a two man pop band “Elin & Kári”, and in the summer of 1988 they published an album on music cassette called “Nalja” on the Faroe Islands. They wrote, composed and arranged all the music themselves, but Faroese legendary music producer, Óli Poulsen, helped them produce the album. 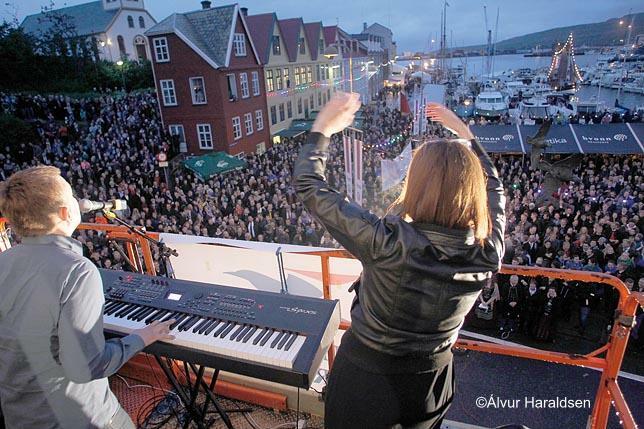 All the tracks – more or less – have been hit songs, and have gotten a lot of airplay on Faroese radio stations. And still do. Every Faroese knows these songs. 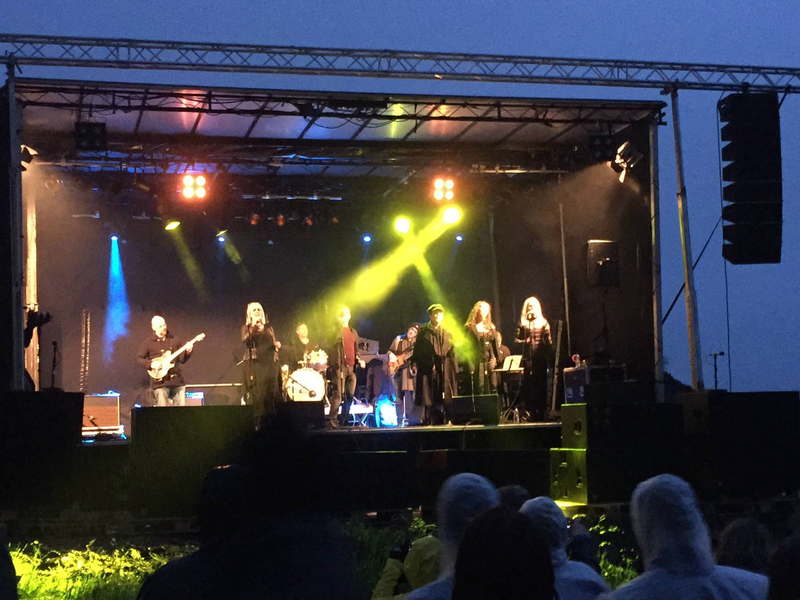 Elin & Kári appeared on stage several times – including two times at the big concerts at the Faroese national holiday, Ólavsøka (Sct. Olavs Wake), which takes place every year before crowds of thousands of people. 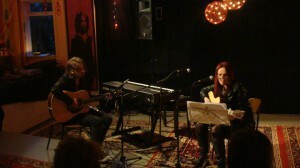 Elin & Kári had planned to publish a second album in 1992 “NALJA II”, but at that time the Faroe Islands were hit by a very severe economic crisis, which made it impossible to finance the production of a new album. After that they became busy with other things in their lives and went their separate ways. Kári has had a successful career as a music composer and producer in Denmark, and is the man behind many of the jingles, trailer songs or theme songs in popular TV programmes on Danish TV, as well as the man behind very popular pop acts – like the Faroese girl pop band Popp Korn some years ago, and the pop band Faroe 5. The albums of these two groups are some of the best selling albums ever on the Faroe Islands. 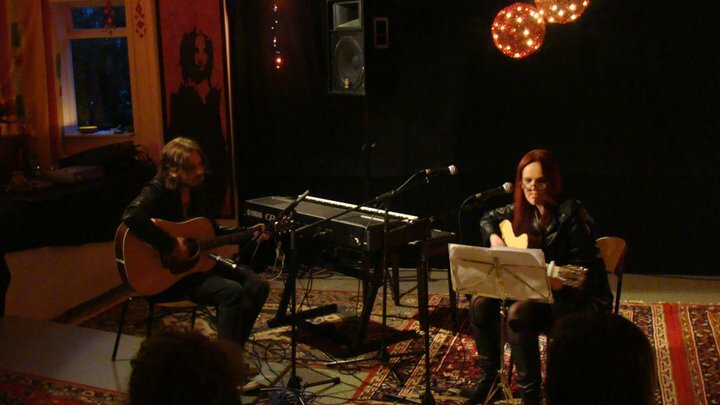 In 2012 Elin & Kári performed together again on stage for the first time in 20 years. 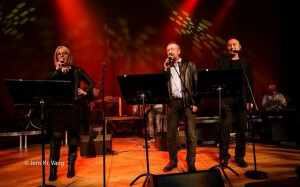 They were asked by the arrangers of the Faroe Pride if they were willing to perform together again – and thereby support gay rights and the gay community in the Faroes. Of course, they said yes, and then NALJA was recreated! 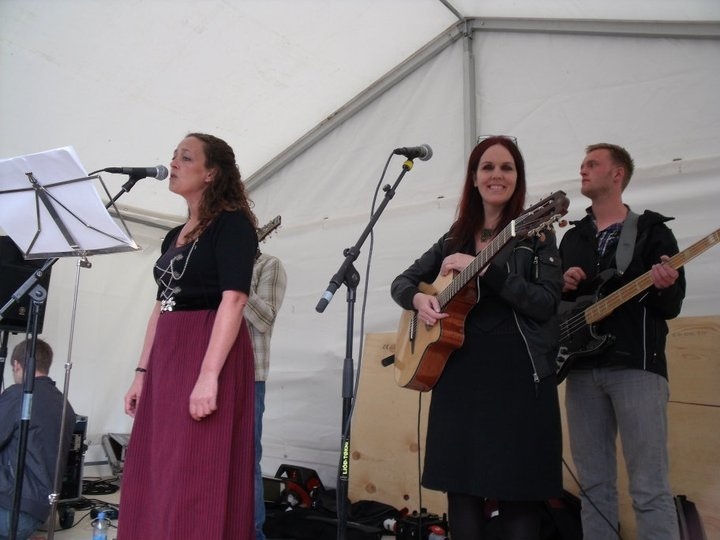 They had a great performance with a full band in front of an audience of several thousands of people. A couple of days later, the two music veterans, Elin & Kári, played another concert at Ólavsøka (Sct. Olavs Wake, the national holiday in the Faroes) in front of an even bigger crowd of more than 10.000 people. These were very touching and nostalgic moments, because everyone was singing along with the old, popular NALJA-songs at the two concerts. 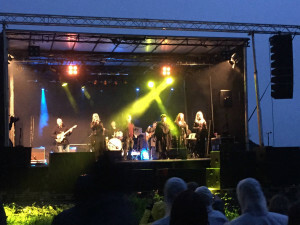 Since then they have had a few concerts, including one at the music festival Við Múrin in Kirkjubø, in 2015, and in the Tórshavn venue Reinsaríið in 2016. “EITT DÝPI AV DÝRARI TÍÐ” (In english: “A Chasm of Precious Time”) is the title of one of the most popular songs on the Nalja album. Elin wrote and arranged the music to the song, and her father, the Faroese author Jens Pauli Heinesen, wrote the lyrics. In 2002 the song was rearranged by the Danish Film composer Søren Hyldgaard and was recorded with City of Prague Philharmonic Orchestra under conduction of Mario Klemens. 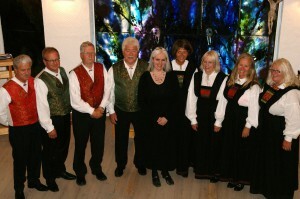 Elin sang as a soloist backed up by Tórshavnar Manskór (Tórshavn Mens Choir) under conduction of Bjarni Restorff. 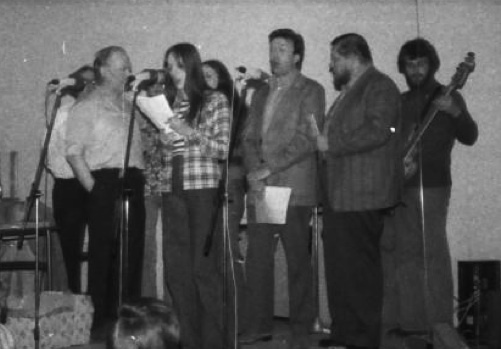 The song was published in a TV film about Elin’s father – the author Jens Pauli Heinesen shown on Faroese public TV to celebrate his 70 years birthday. 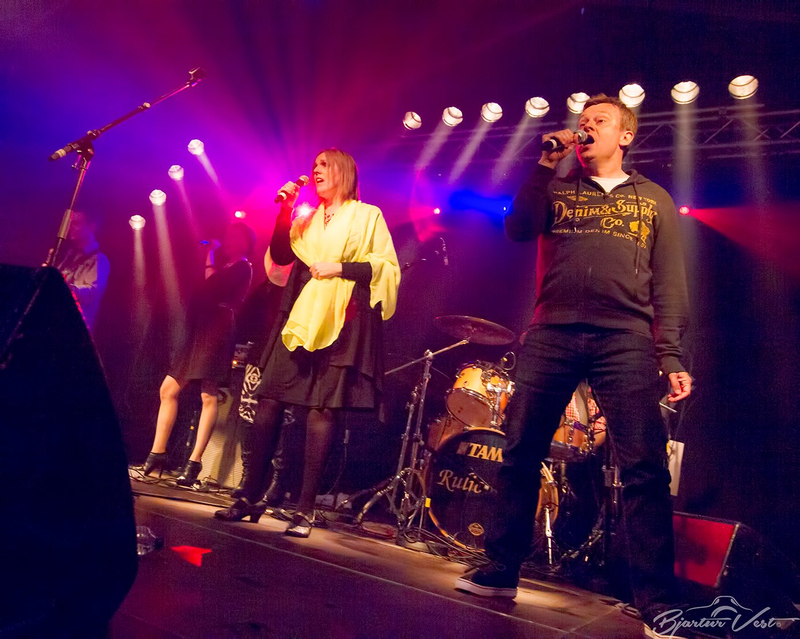 This song has been said to be a milestone in Faroese music history. Listen to the symphonic version of the song http://heinesen.fo.virker.nu/wp-content/uploads/2014/02/Eitt_dypi_av_dyrari_tid.mp3. 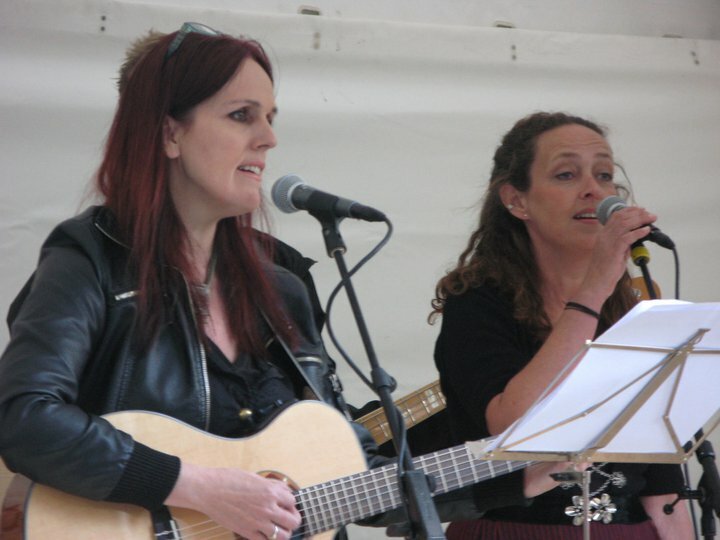 For almost 20 years Elin did not appear much in public as a musician – not since the early nineties. She became a mother in 1990, and for a long time she had a busy career in Denmark in culture administration, marketing and journalism – so she hadn’t the time to pursue a musical career also. But Elin made kind of a come back in the summer of 2010, when the album “Yndisløg” was released. 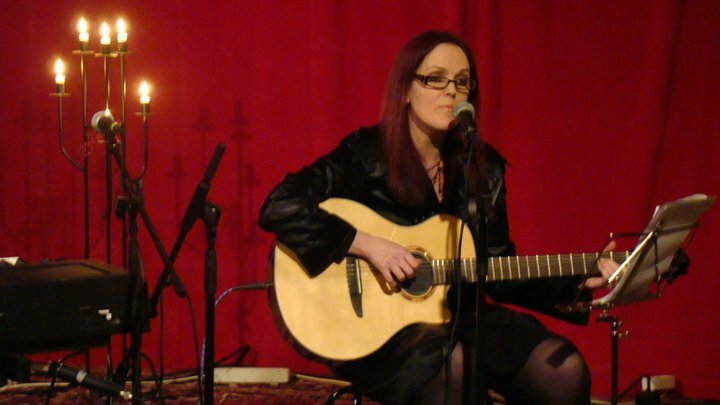 In 2005 she went in to the studio to record eight songs together with her uncle Svenn Brimheim, who was a well known guitar player on the Faroe Islands, and with the band he played in, Ad Libitum, which was a very popular easy listening folk band on the Faroe Islands, mostly playing classical evergreens. They planned to record a number of other songs later, and the album was intended to be released in 2006, but Svenn unfortunately died in the spring of 2006, before they could make the rest of the recordings. Later – in 2007 – Elin went into the studio with the rest of the band to record the seven remaining song. 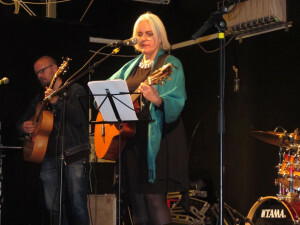 The album got the title “Yndisløg – Ein ferð aftur í farnar tíðir” (Treasured songs – A trip down memory lane) and contains her, her uncles and mothers favorite songs, most of them evergreens from the sixties, translated to Faroese by Elin herself and others. Eight of the songs were recorded live in a studio at the Faroese public radio station in September 2005 with Svenn and Ad Libitum. 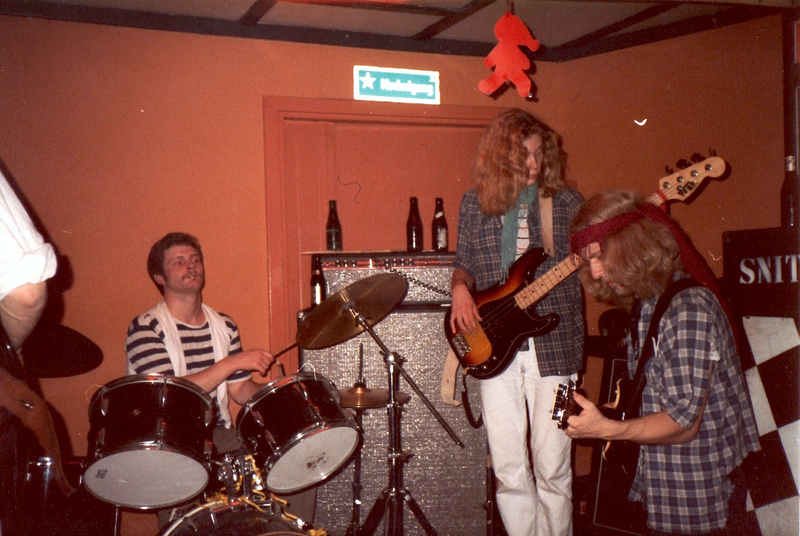 The remaining seven tracks were recorded with the band – but without Svenn. 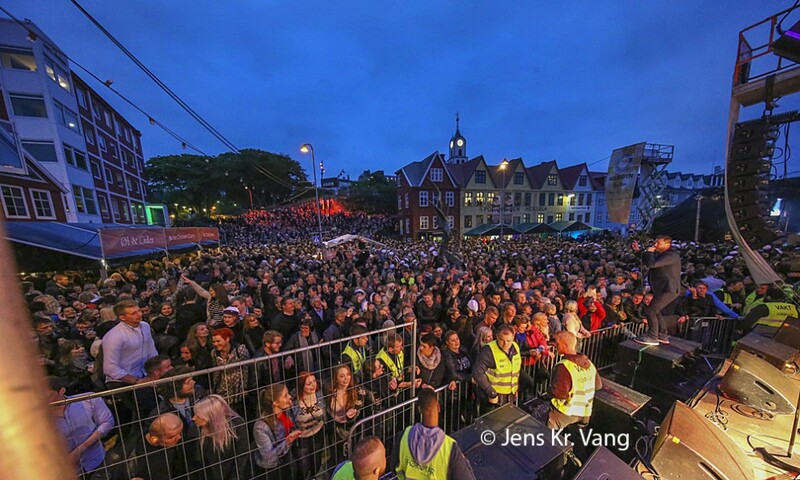 The album Yndisløg sold 1,300 copies, which is a lot in a small country like the Faroe Islands of 50,000 people. The album is sold out and not available in record stores any longer, but the artist has a few copies left for selling, so it is still possible to order the album directly from the artist by sending an E-mail to her at elinbrimheimheinesen(at)gmail.com. By doing so you also donate an amount to the Faroese Cancer Society. The price is 120 DKK for each copy + postal expences. Elin will send you the ordered copy or the copies by postal mail and give you the instructions on how to pay for it/them. Do You Want to Book Elin for a Live Performance? If you are interested in booking Elin Brimheim Heinesen for a peformance or, for instance, experiencing a living room concert with Elin and her Trio in her own living room, please send her an E-mail at elinbrimheimheinesen(at)gmail.com. 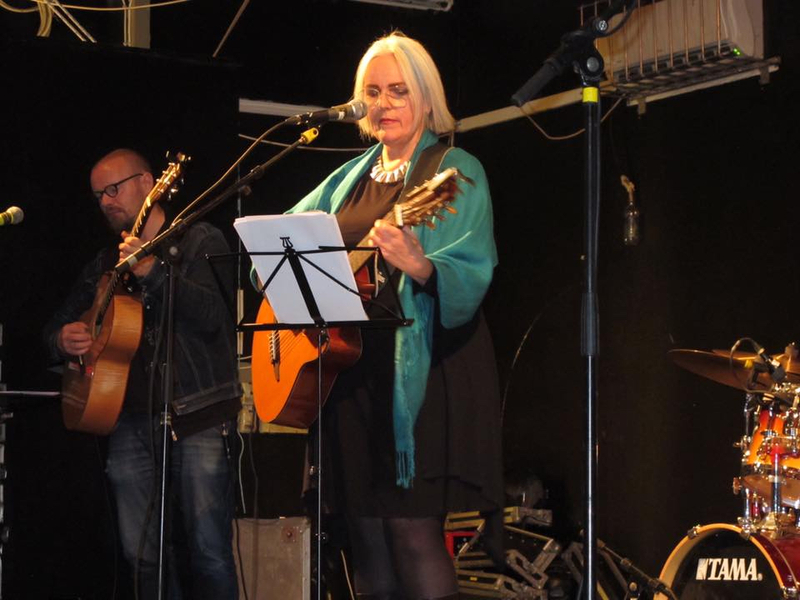 Elin has not published new albums since “Yndisløg”, but is planning on publishing a solo album in the summer of 2018 – on her 60′ieth birthday – with songs written and composed by herself. “Songs, which have been hiding in the drawer for far too long”, as she says. 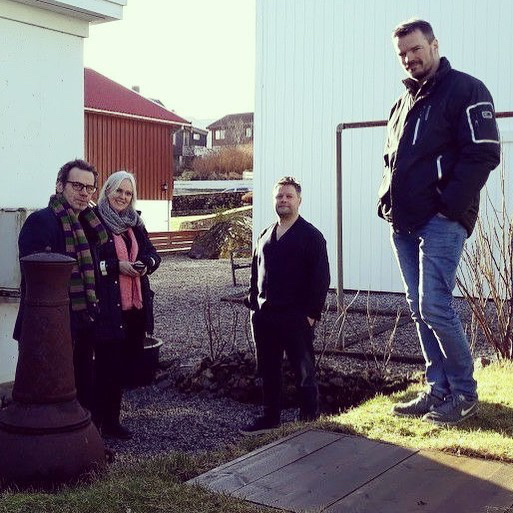 The studio recordings began in February 2018 and the studio crew was Finnur Hansen on keyboards, Arnold Ludvig on bass, Rógvi á Rógvi on drums, Rúni Eysturlíð and Leivur Thomsen on guitars – some very skilled musicians.